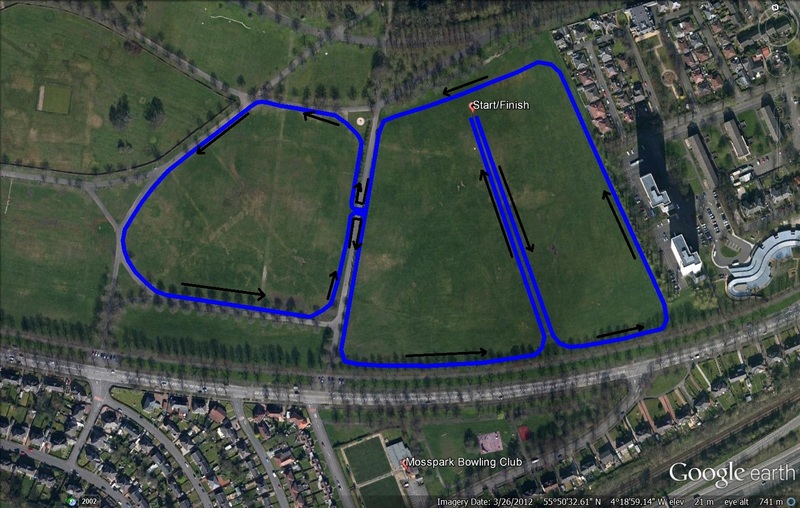 The 2014 Renfrewshire AAA Cross Country Relay championships took place in Bellahouston Park on Saturday 18th October. Registration and changing are at Mosspark Bowling Club (G52 1LJ). 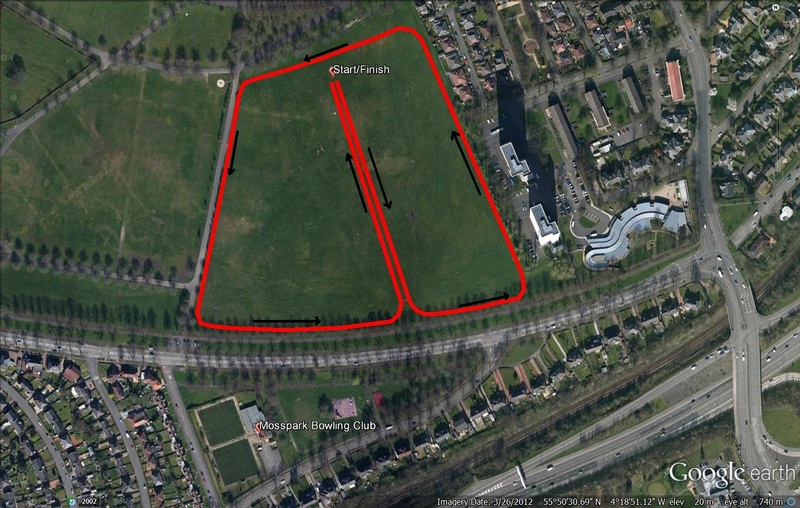 The club is on Mosspark Drive which is just off Mosspark Boulevard on the south side of Bellahouston Park, Glasgow. Team managers should collect team numbers and complete declaration forms. Young athletes declarations from 11am, with senior race declarations from 12:30. 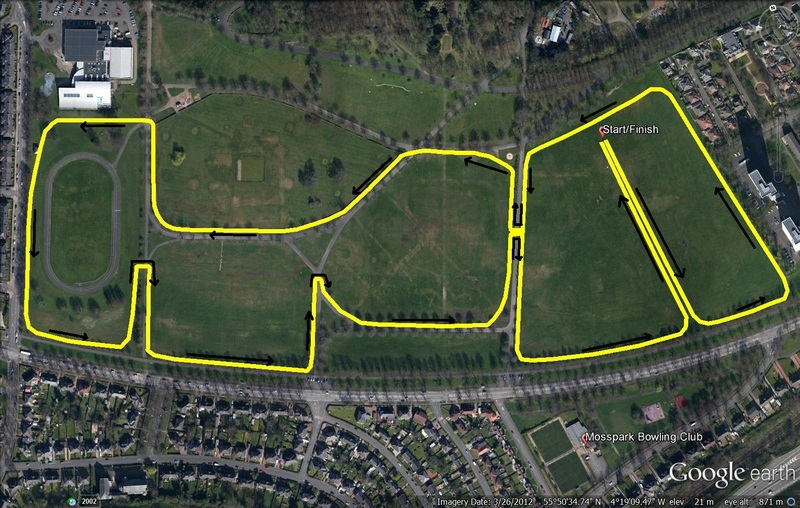 There is a 5-10 min walk to the start in Bellahouston Park. Refreshments will be available in the Bowling Club after the races. There are no showers available at the Bowling Club. IMPORTANT – To all team managers, parents and runners. Under no circumstances are muddy shoes/spikes to be worn inside the Bowling Club. The post code for Mosspark Bowling Club is G52 1LJ. If coming by car there is a small car park at the bowling club, accessible from Mosspark Avenue. There is plenty of parking available in the various car parks within Bellahouston Park. On street parking is also available in the surrounding streets. It would be helpful if you could avoid parking directly in front of the shops on Mosspark Drive. PLEASE NOTE THAT RANGERS F.C. HAVE A HOME GAME COMMENCING AT 15:00. THE STREETS AROUND THE PARK WILL BE VERY BUSY IN THE AFTERNOON SO PLEASE BUILD SOME EXTRA TIME INTO TRAVEL ARRANGEMENTS. Bellahouston Park is close to the M8. Please use junction 24 (if travelling east), M8 junction 23 (if travelling west), or use M77 junction 1 if coming from the south, or if approaching from the M8 Glasgow City Centre. The nearest subway is Ibrox. Trains travel from Central Station to Dumbreck Railway Station, which is a 5-minute walk from the park. Please use Traveline Scotland to determine which is the best public transport option for you. (Note .. Age categories – age at 1st September 2014 .. min age 9 on the day for u11s).